If you’ve visited our Facebook page recently, you’ve probably noticed that we’ve started hosting Facebook Live interviews on a regular basis! These interviews are designed to help our clients and members of the custom integration industry keep up-to-date with the latest trends and news as well as learn from experts in the field. 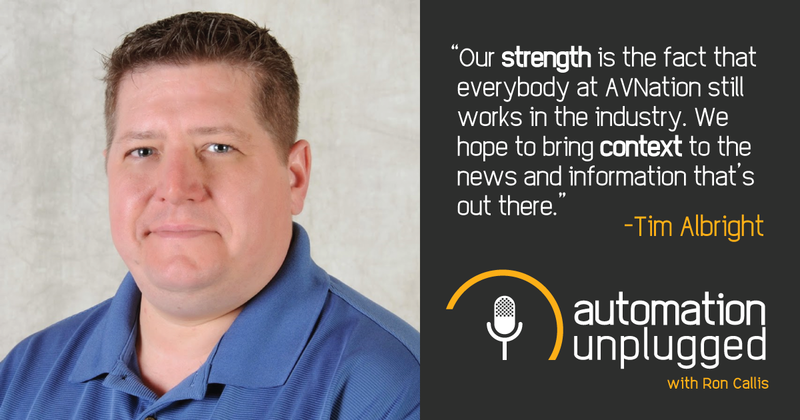 In this Automation Unplugged interview, Ron Callis interviews Tim Albright, the founder of AVNation and the driving force behind the AVNation network. Watch the full video here to learn more about Tim's start in the AV industry and his goals for AVNation, as well as his thoughts on what to look for at InfoComm, Apple HomePod, voice control, and more.